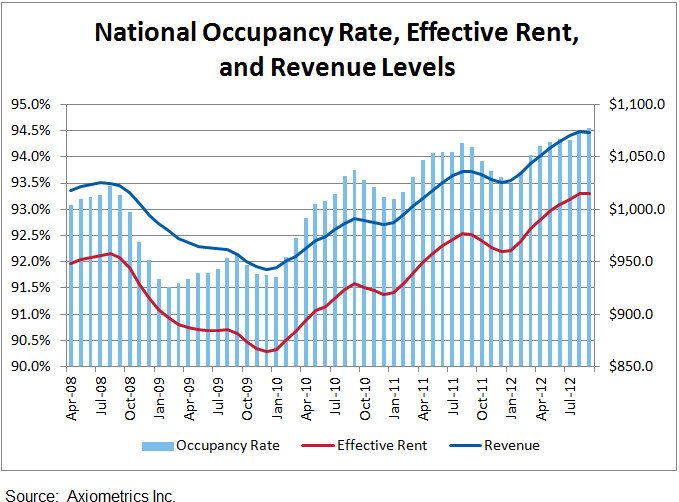 Apartment Building Occupancy, Effective Rents and Revenues Charted. How are yours? From the chart it looks like the national average of Continue reading Apartment Building Occupancy, Effective Rents and Revenues Charted. How are yours? Posted on October 12, 2012 October 12, 2012 Categories Apartment Building Investment Cycle, Apartment Technology and Management, Multifamily InvestmentsTags Apartment Building Investing, apartment building investment cycle, apartment vacancy, asking rents, Cap Rates, effective rents, occupancy, other income, rent growth, revenue2 Comments on Apartment Building Occupancy, Effective Rents and Revenues Charted. How are yours? 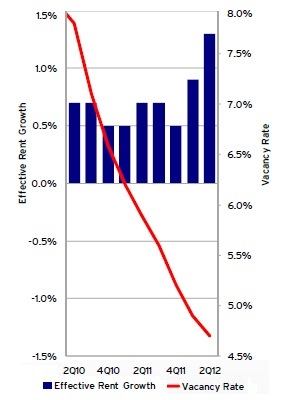 US Apartment Building Vacancy Below 5%, Rents Growing at Fastest Pace Since ’07. National vacancies continue to plunge, ending Q2 at 4.7%. There was a slight moderation in vacancy compression, following 10 quarters of vacancy declines. With such low vacancy levels, landlords have been accelerating rent increases. Effective rents increased 1.3%, the fastest pace since Q3, 2007. Inventory growth remains restrained with just 10,000 units coming online. Developers are starting to build more properties to take advantage of the tight market conditions. 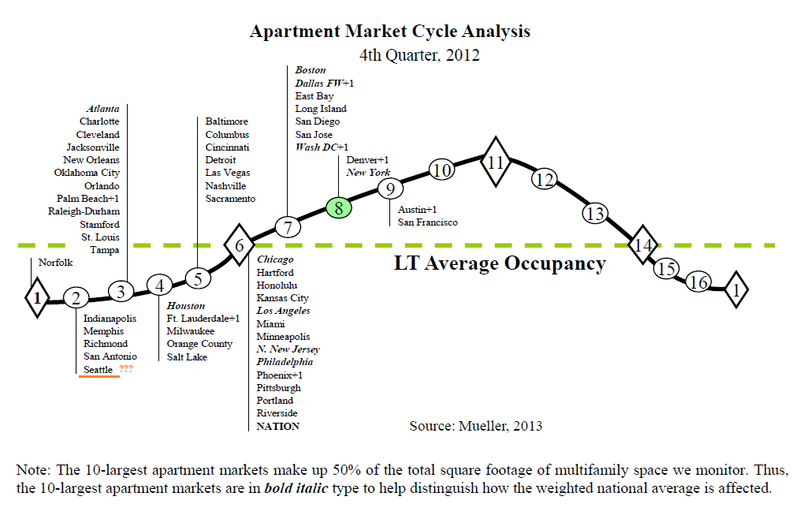 How are vacancy and effective rents trending in your market? Posted on July 26, 2012 August 9, 2012 Categories Apartment Building Investment Cycle, Multifamily Design & Development, Multifamily InvestmentsTags Apartment Building Investing, apartment demand, apartment vacancy, effective rents, investment property, occupancy, rentsLeave a comment on US Apartment Building Vacancy Below 5%, Rents Growing at Fastest Pace Since ’07.